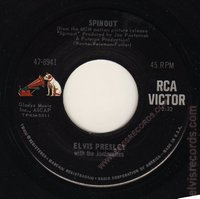 Cover: (9/1966) picture sleeve front and back. 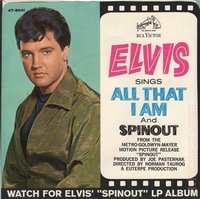 Watch For on cover. 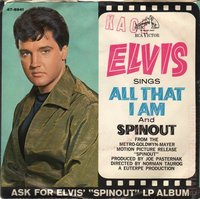 Cover: (10/1966) picture sleeve front and back. 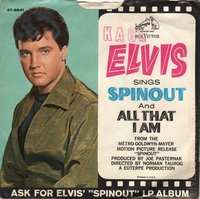 Ask For on cover. 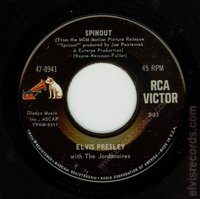 Disc: (9/1966) White label. Not For Sale. Disc: (9/1966) Black label, dog on side. 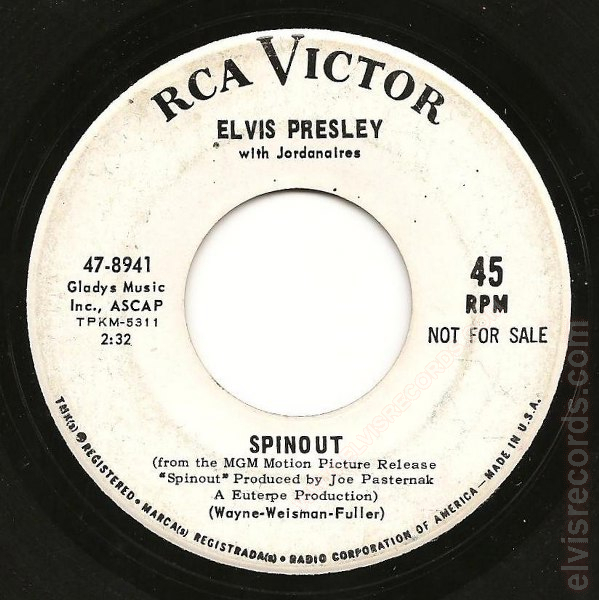 In the (From the MGM Motion Picture Release "Spinout" produced by Joe Pasternak A Euterpe Production) statement, The From, Motion, Picture, and Release are capitalized and produced is not. 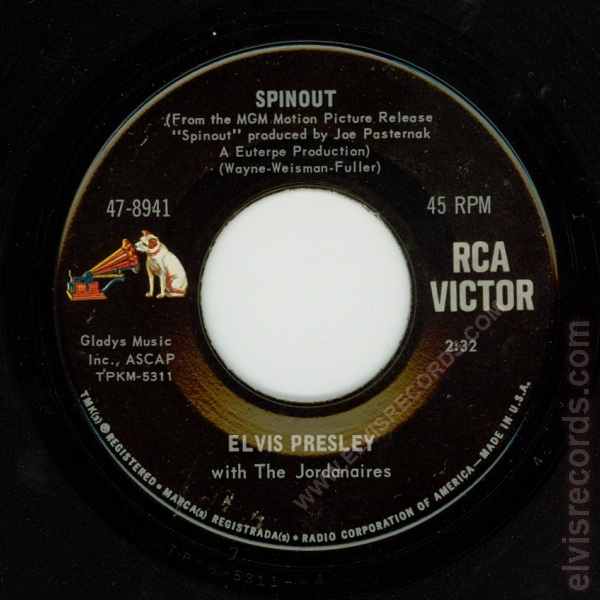 In the with The Jordanaires, "The" is capitalized. 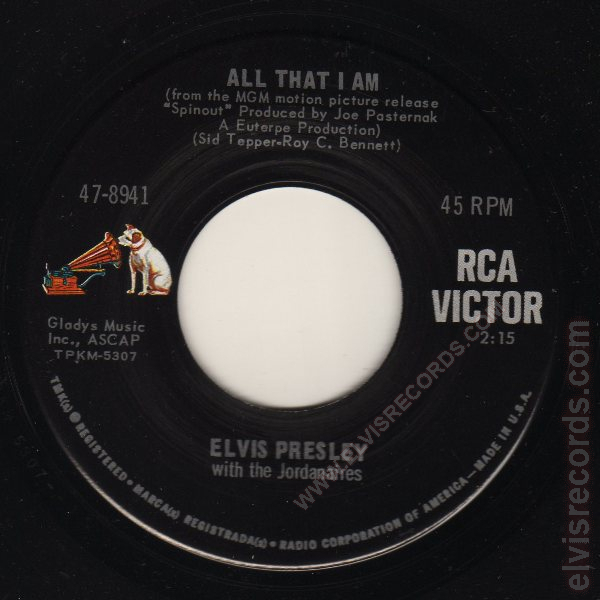 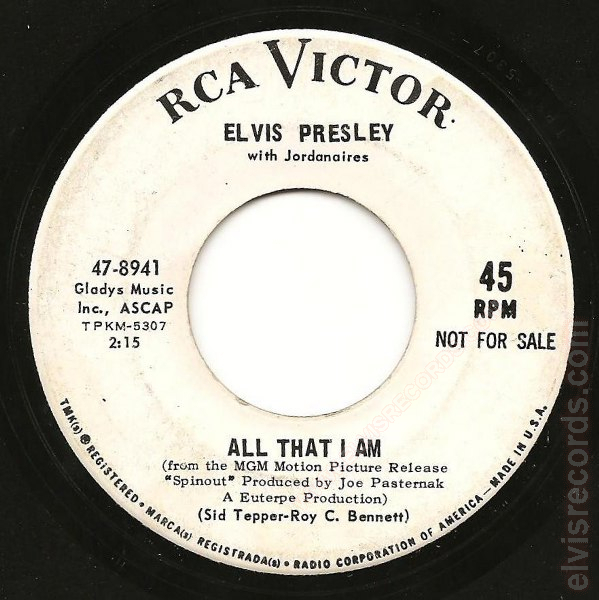 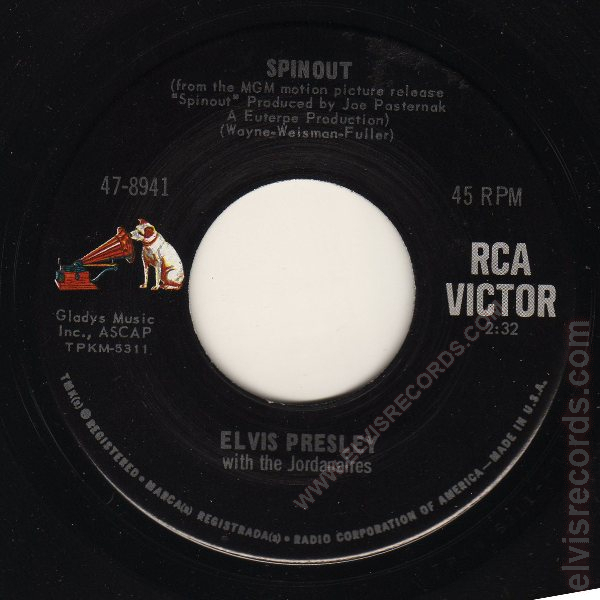 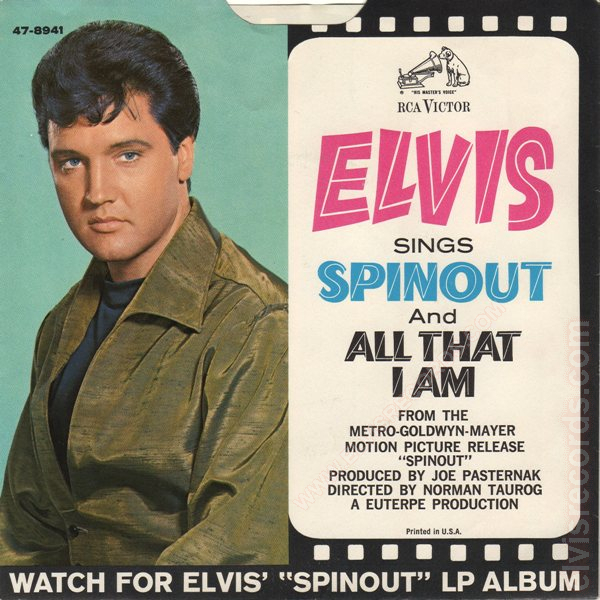 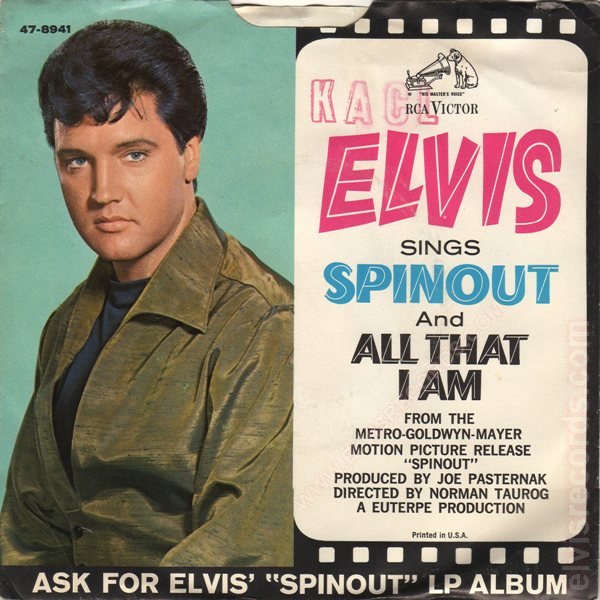 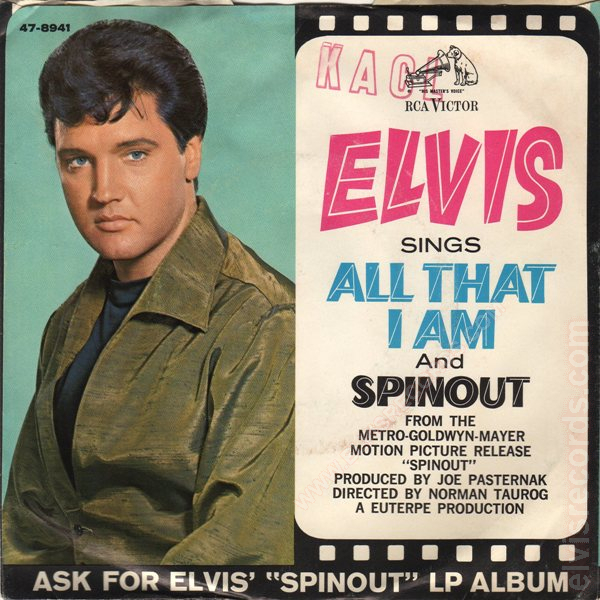 Re-released by RCA Records on 45 RPM as Spinout / All That I Am on the Gold Standard Series label.